Get ‘graphic’ this season with the hottest selection of sunglasses from S/S 13 collections of Marchon Eyewear, Inc. ,one of the world’s largest manufacturers and distributors of quality eyewear and sunglasses. The company markets its products under prestigious brand names including: Calvin Klein, CK, Diane Von Furstenberg, Disney/XGames, Emilio Pucci, Fendi, FERRAGAMO, Flexon, Jil Sander, Karl Lagerfeld, Lacoste, Marchon, Michael Kors, Nautica, Nike and Sean John, VALENTINO and CHLOE’. 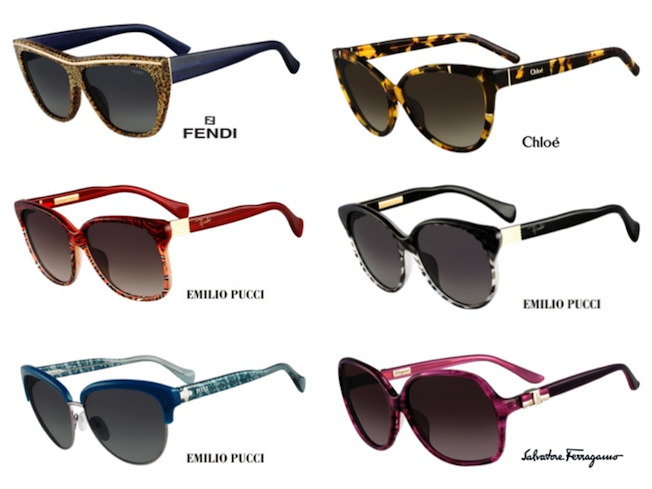 My favourite as always is Emilio Pucci.